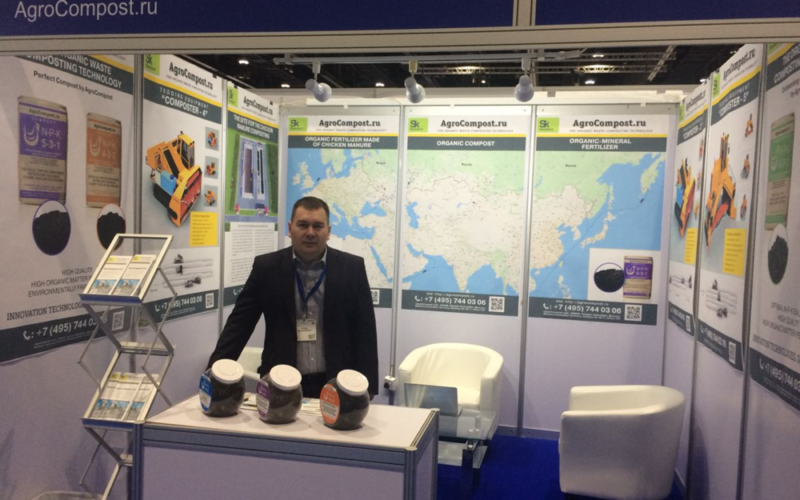 In the period from 5 to 7 February 2018 in Abu Dhabi, UAE hosted the international exhibition of livestock and poultry “VIV MEA-2018”.The exhibition was attended by more than 300 organizations, including the company “Agrocompost”. During the exhibition, representatives from the UAE, India, Kuwait, Egypt were interested in organic fertilizers produced in Russia from chicken manure. This exhibition contributed to the establishment of new mutually beneficial business contacts and expansion of geography of activity of the company “Agrocompost”.